In 2016, the U.S. Bureau of Labor Statistics claimed that worker productivity is falling. Many may ask, "who should we blame?". But can we really blame an individual or a situation for the staggering drop in productivity rate? Understand this; an organization is only to perform well if employees give in their 100% at the workplace. Productivity and client expectations are bound to slump if employees fail to deliver their full potential while providing project deliverables. But the question that keeps every business owner on edge is “how should employee productivity be determined?”. Some recommend that tracking total working hours at the workplace is one way to see how productive an employee has been. Except, is it really how you should determine productivity? Perhaps not. It is important for you to understand that employees are not machines and there can be other factors that can impact their overall productivity rate. Let’s take a look at various bottlenecks that impact employee productivity and hamper project deliverables below. A report by Gallup confirms that teams with good employee engagement rates are seen to be 21% more productive. It is essential for the managers to ensure that all their team members are engaged and provide substantial input towards the final deliverables of a project. However, various factors can impact an employee’s engagement while working on a project. Change of roles and responsibilities. In short, a lot of change can lead to an employee’s engagement towards a project. And this can ultimately result in a lack of productivity. Takeaway: You need a platform in place that keeps all your employees engaged. A platform that provides the latest updates on changing roles and responsibilities, new targets for deliverables, and reporting managers. 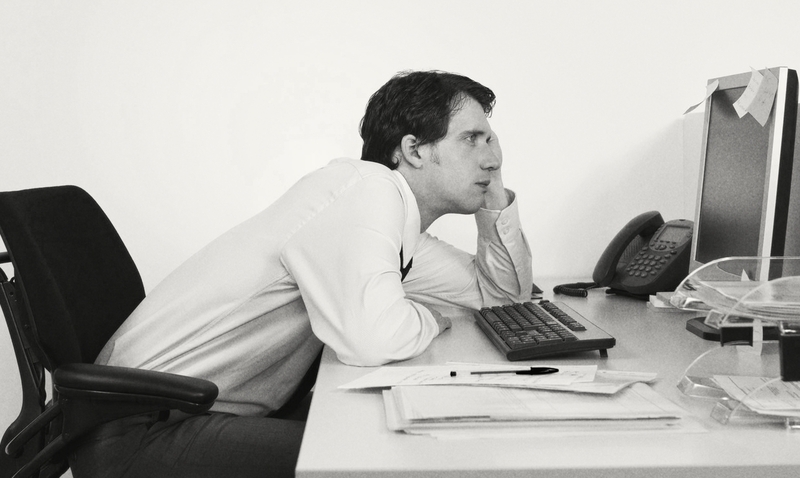 Attentiv states that an average worker spends 13 hours per week resolving client emails. That means 28% of the workweek is spent opening long email chains and finding relevant client information. Takeaway: Integrate one platform at workspace that helps you track progress on all projects, latest tweaks added by clients and more efficiently. Did you know that lack of communication leads to 57% of project failures? Late implementation of that particular detail while executing the project. All leading to a failed project. Takeaway: Implement one platform that helps you communicate all the crucial details of a project across different departments hassle-free. Wellington states that “Over 1 in 3 that is 34% of projects have no baseline”. It is important that project managers can define the goals of every project they manage. Doing so helps to create tasks and subtasks that help all team members provide project deliverables within the set deadlines efficiently. Takeaway: Get one platform onboard that helps you define the goals and objectives of a project, and therefore helps to create milestones that can be achieved within the set deadline. What’s more, it will help you boost employee productivity and deliver projects within the set deadlines. 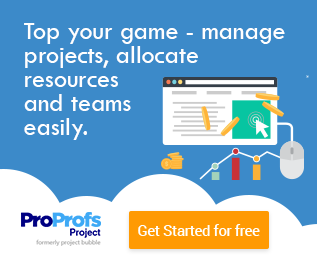 In case of doubts, read ProProfs Project reviews online and learn how the tool turns out to be a quick fix for project managers. Now, let’s see how the simple project management tool skyrockets employee productivity. Did you know that 39% of employees believe that their organizations do not collaborate enough? Communicate with your team members, across different departments, in real time. Get access to all latest project details and tweaks your clients want to implement hassle-free. Track all project related communication under the designated task and monitor the overall progress of the project. Regular collaboration with your team members and clients through a project management tool like ProProfs can help you build an agile environment at your workspace. A manager is aware of the different tasks an individual team member works on, but to know how much time do they take to complete one becomes a cumbersome process. However, this can easily be simplified with the use of simple project management software like ProProfs. Understand the productivity hours for every individual team member. Get an insight into how and when your project team members work their best. Know the amount of time one takes to complete a single task and compare it to other members to know if the particular member is productive during working hours or not. Build focus amidst team members as they are aware of the fact that a particular tool is there in place to track their productivity at the workplace. With the ability to track the overall productivity of every team member, you can easily understand the bottlenecks they face while working towards a project. What’s more, you can help them boost their productivity once you identify the cause behind their late deliverables. ProProfs Project also helps you keep your team members on the go and get all your projects completed within the set deadline easily. With regular task notifications to all those involved, everybody stays on track with due dates and can provide project deliverables while adhering to respective deadlines. One day before the due date. On the day the task is scheduled to be completed. And post due date (only if the assignee hasn't completed the task). The easy to use project management software allows you to generate reports that help you track the overall productive hours spent by all your team members efficiently. These reports help you to communicate with the team members about their performance and the areas where they need to improve. Plus, they are a great way to know the overachievers and underachievers of your team. With reports, you can work towards improving the performance of your team members. You get to analyze the improvement areas and build a training program that helps to overcome their roadblocks during a project. In short, you can work towards improving their productivity and make them a valuable asset for your organization. Why ProProfs Project is a Quick Fix? There are various reasons why employee productivity can get hampered at the workplace. It could be due to a lack of resources, bad communication, lack of pre-defined goals and objectives of a project, and much more. And in times like these, it becomes a daunting task for a project manager to increase team productivity and reach the desired deliverables hassle-free. So to overcome these bottlenecks, you should ensure that your team remains organized, focuses on completing the tasks at hand and adhere to all upcoming deadlines. But doing all this through traditional email follow-ups is no more an option. You need a tool in place that helps you boost productivity amidst all team members immediately as you are not dealing with one but many projects at a time. And much more that ultimately helps you improve team productivity. All these benefits help you reach your project goals within the set deadlines efficiently. So in case you’re using the same old email and spreadsheets to track the progress of your project team members and project, then it is time you get the tool onboard. To get a better insight into how the tool has helped other managers reach their goal, we’d recommend that you read project management software reviews online. The reviews will help you decide how the software will help you shape the progress of your project efficiently. Previous Why is it Important for Businesses to use a Project Management Software? Next How to be a Productive Project Manager?